Much like fashion, haircuts and colors are changing rapidly. In 2018, we saw a rainbow of colors — rose golds, ash blondes, deep browns, coppers, and purposeful grays. And who can forget the actual rainbow-colored locks? And if that wasn't doing it for you, there was — and is — always unicorn hair. As you've no doubt noticed, 2018 certainly proved itself to be the year of trying new 'dos. Love 'em or hate 'em, some of the trends will continue on through subsequent years. 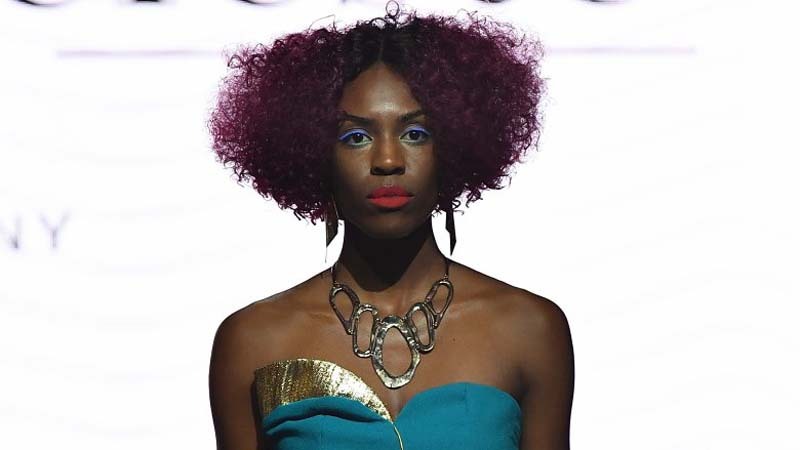 Redken's Global Color Creative Director Josh Wood recognized that the unicorn and vivid styles are likely not going anywhere in 2019, but he decided to craft a subtler version that he dubs "anti-unicorn hair." He explained to Allure, saying, "It's not overt or bold, it's refined." Wood's rendition made it to the catwalk on nearly 40 models at Marc Jacobs' spring 2019 show. But unicorn — and anti-unicorn — aren't the only colors you'll be able to choose from in 2019. 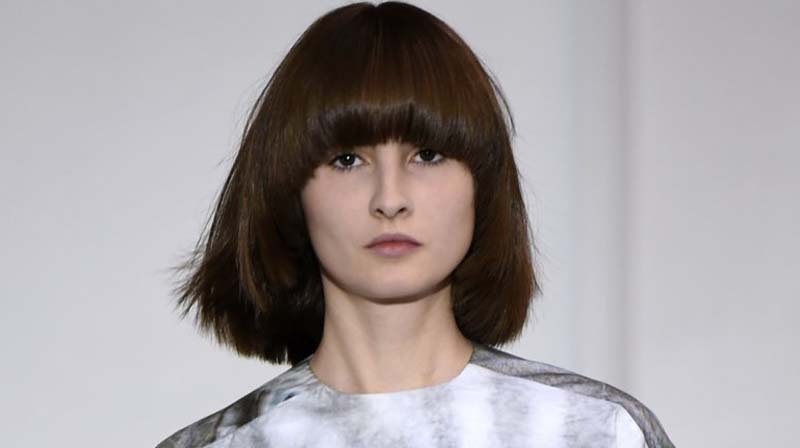 Here's what hair experts are saying will be on trend. "Hair color you could actually be born with"
Rainbow combinations are going to hang around in 2019, yes, but that doesn't mean natural shades are out. When The List caught up with Fred Connors, renowned stylist and owner of FRED.nyc, he admitted, "There are a lot of trends I was hoping would go away but they are still popping up on the streets of [Manhattan]. Unicorn hair, still here, cotton candy pink, ditto." While they are still on trend, Connors recommends "hues that look like they were created by nature" or "hair color you could actually be born with." Of course, that doesn't mean your hair color will end up looking boring. With colors like "rich deep browns, icy nordic blondes, chestnuts, and radiant reds," your hair will make a statement without needing to be iridescent. Most importantly, the hair expert says, make sure your hair shines because "dull matte hair of any color is out." Serums and gloss will be your best friends come 2019. You may have accepted the return of '90s fashion, but how do you feel about the decade's iconic hair making a comeback? Diana Gallegos, hairstylist and editorial fashion hair expert of Twist, Cut, Extend in San Francisco, California, confirmed its return to The List, saying, "2019 is going to look more like the '90s!" 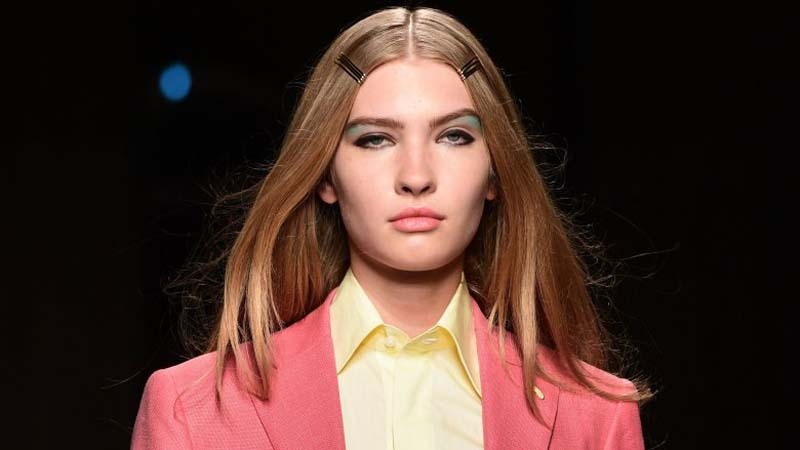 Although poker straight hair and other sleek styles will make their way into 2019, it's not just the hairstyles that will be mimicking the decade. "The hair colors in 2019 will be just as bold [as the haircuts] with jet black colored hair, very white blonde, and fiery reds. For '90s-inspired hair inspo, you really have to look no further than The Spice Girls. Victoria Beckham (Posh Spice) is your gal for jet black locks, Emma Bunton (Baby Spice) for "very white blonde," and, of course, Geri Halliwell (Ginger Spice) for that feisty, fiery red. 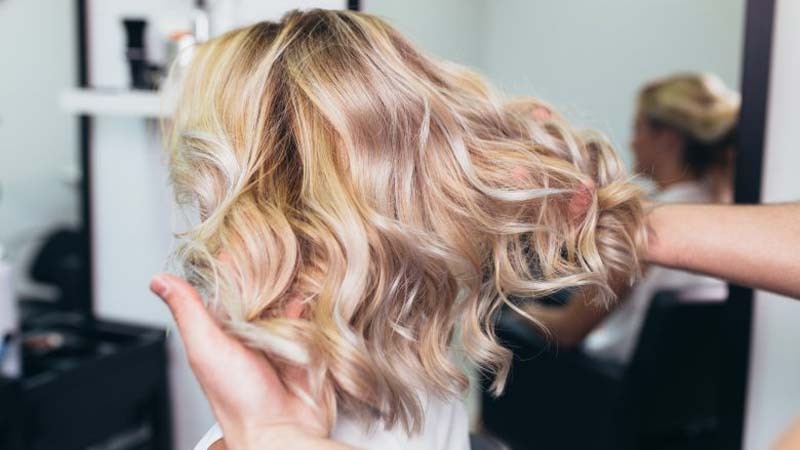 Celebrity stylist, hair colorist, owner of The Salon Project, and overall hair expert Joel Warren, told The List that coffee-inspired colors are going to become incredibly popular in 2019 — especially in the spring. Come the new year, Warren recommends converting your "old yellowy highlights" to the hue he's dubbed "Cold Brew." The rich java-colored shade is even great for fall if you want to get ahead of the 2019 trends. But, what if you're not one for single shades and are still looking for highlights, albeit something better than the "yellowy" variety? Fortunately, these coffee hues will still work for you. The stylist told The List that you'll want to opt for a color that is similar in appearance to "café au lait." This milky, almost chestnut, shade will, as Warren explained, "create volume and depth." You can't get much better than that. Well, unless the colors were actually caffeinated. For winter 2019, you might just be planning to trade in your lighter fall shade for a deeper, darker color. If so, you would actually be doing your hair a favor. Connie Mitchell, master stylist at LOOK Style Society in Las Vegas, Nevada, predicts that 2019 will bring about some healthy — and necessary — changes for our hair. "[In 2018], it seemed like everyone was trying to achieve pastel colors, while also overusing heating tools and styling products, which can break down the integrity of the hair." Raise your hand if you're guilty of doing that. It's true — we are our own worst enemies when it comes to caring for our tresses. Nevertheless, Mitchell told The List, "Darker hues can create a more healthy look for damaged hair." And, thankfully, Mitchell says dark colors — like "mahogany and cognac browns" — will be in style come 2019. If you're looking to cover up some of your overly processed and all kinds of damaged pastel hair from yesteryear, just what dark color should you choose? Before you think you're limited to one shade of boring brown, let us reveal to you what master stylist Connie Mitchell foretells for 2019. In addition to naming mahogany and cognac browns as the "it" colors in 2019, she also says to watch for "eggplant"— which is a shade that is anything but boring. L'Oreal Paris further recommended a "glossy eggplant color" and cited that this color will look best if you have a deep skin tone. Though, even if you don't, don't despair. The company went on to dub the color as "perfect for anyone who's not ready to kiss their dark tresses goodbye, but sick of neutral blacks and brown — this deep hair color looks romantically royal." Romantically royal, yes, and positively perfect for 2019. 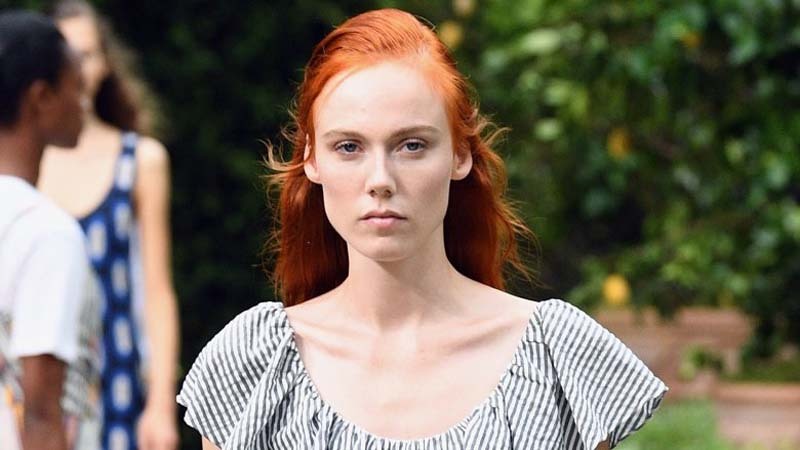 The addition of "different tones"
Marie Claire Australia spoke with Deeann Watt, owner of Watt Style salon in Queensland, Australia and winner of the 2018 L'Oréal Professionnel Colour Trophy Marie Claire Reader's Choice Award, to find out what 2019 hair colors we should expect — especially in the summer. "Some of the big colour trends this year will be every shade of blonde. Chestnut brunettes [will be big] too," Watt revealed. The hair expert went on to explain, "Blondes can change up their look by adding different tones to their hair. Lavender and rose gold will be popular this summer." Brunettes and redheads, on the other hand, can both add "more chestnut tone to their bases for an update." By not changing your entire hair color and instead just add a little bit of color to your natural shade, you're still able to participate in some of the trendiest new colors and looks — without, well, turning into a unicorn. So what if 2019 is going to roll in with a blast of cold weather? That doesn't mean you'll have to give up your beachy mane — now or ever! Though, that said, you may want to try something a little different with your sandy locks come the new year. Mike Petrizzi, celebrity colorist at Chris Chase Salon in New York City and the artistic director for AGEbeautiful Hair Color, told The List about an original look that is expected to be all the rage and, we'll be honest, it sounds amazing. "Next year we are seeing two of the most popular hair color techniques come together for brand new, exciting results: balayage and precision foiling." The outcome? "This gives you the beachy blur," Petrizzi explained, "[meaning an] abstract effect of balayage and the isolated, definition of foiling." Well, ladies, book your appointments now and get a jumpstart on a fun new trend that will have you perpetually in a beachy state of being. To get the "beachy blur" effect, there's nothing that says you must be blonde. In fact, renowned colorist Mike Petrizzi told The List that "preternaturally natural shades" will be a big deal in 2019 — and will work perfectly with the combination of balayage and precision foiling. "Preternaturally natural" tones may sound like a contradiction, but it simply means taking your natural hair color, or a natural-looking color, and mixing in some hues of anything but natural. Or, as Petrizzi put it, using "colors that are more natural than the super vibrant, cartoonish colors of the last few seasons, but still aren't fully found in nature." The hair expert said to think "coppers that have an ethereal amber" or "blondes with a kiss of rosé." Or, you could always try an "arctic brunette with a chill of blue" or "raven hair with a veil of violet." These colors may not be as bold as the ones we saw — and tried — in 2018, but they're arguably even better. Platinum blondes may not be getting pushed to the wayside per se, but another shade of blonde is certainly becoming their rival. Cynthia Diersen, a creative artistic team member of CHI Hair Care told The List that the blondes of 2019 are getting an update. "The icy blonde will start to transition into its healthier option — the Golden Blonde." And your hair will thank you for this change. 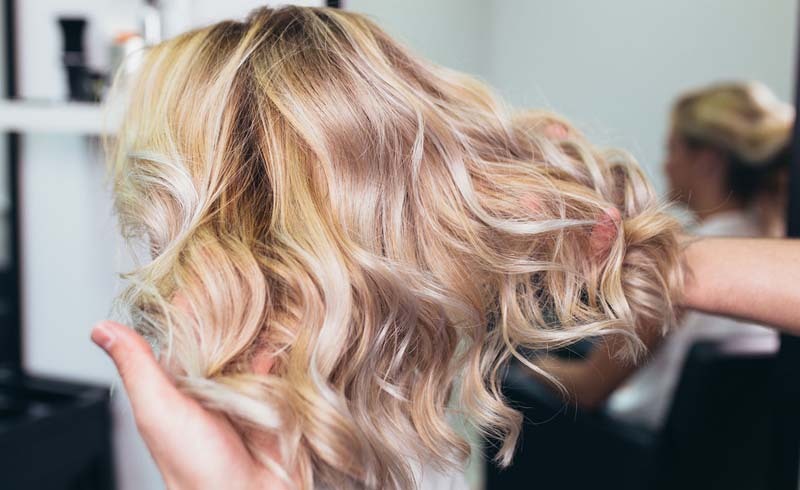 "If you want your blondes to glow, leave some golden tones in the hair to keep the hair healthier and more shine reflective," Diersen suggests. However, the desire for healthy hair isn't the main reason bright blondes are transitioning to Goldilocks' signature color, Diersen revealed, saying, "Fashion colors attach themselves better and will not appear so hollow and dull when applied to a light yellow (not platinum) base making them longer lasting too." Her suggestion? To embrace your "creamy buttery blondes." Hear, hear!